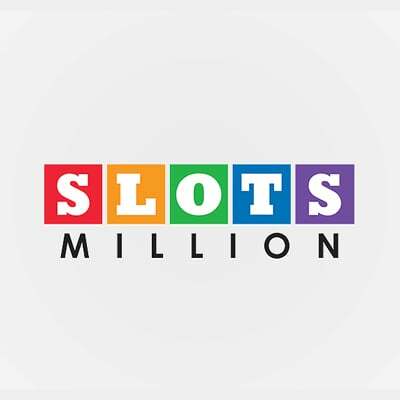 Launched in January 2015, Slotsmillion is one of the new casinos that is keeping competitors on their toes with an outstanding selection of games and intuitive technology that is second to none. Created by a group of technologists and land-based casino moguls who share a passion for vibrant slots action, this platform is sure to impress you with its incredible design, an expansive collection of games and the Virtual Reality online casino experience which is the first of its kind in the world. Not sure about its legitimacy and reliability? Slotsmillion is run and managed by Alea Gaming Ltd (a Malta-based company) and is fully licensed and regulated by the UK Gambling Commission, the Gaming Authority of Malta, and the Netherlands Antilles (Curacao) Government. For our review, we take a look at several key areas of interest in any online casino including the welcome bonus, games, payment methods, and customer support among others. Before you start drooling over the website’s crisp graphics and its intuitive designs, let us give you a brief overview of what to expect immediately you join here as a new player. For starters, you don’t even need to deposit any money to start enjoying their perks! Upon signing up a new account, you’ll receive 10 free spins without deposit required. If you proceed to make your first deposit, you’ll trigger a 100% bonus up to $/€100 as well as 100 free spins. Obviously, this isn’t the biggest welcome bonus package around but it’s still decent enough. Before we give you the green light to jump into action, let’s first check out some of the TOCs set for this bonus. To begin, the 100 free spins given to you after making the initial deposit are divided into five equal packages of 20 free spins. The first bunch is released on the first day of making the deposit while the rest are shared equally over the next four consecutive days. Additionally, phone/SMS verification is required for you to claim your free spins. Finally, you’ll need to wager your free spins winnings for 35 times if before they become available for withdrawal. All wagering requirements must be fulfilled within seven days from when you activated the bonus. So, you have already claimed and wagered your welcome bonus – are there any other bonuses to look forward to when playing games at Slotsmillon Casino? Sure, this operator continues to treat existing members to various promotions to keep them coming back. For the ladies, mark your calendars as every Monday from 7-11 pm is a ‘happy session’ known as the Ladies Night. You get an extra 40% up to $/€100 on money deposited during these hours, as long as you’ve made an initial deposit before. Gents are also not left out as the Gentlemen’s Night comes on Wednesdays from 7 pm to 11 pm. And just like the ladies, a 40% bonus up to $/€100 is given for deposits made during these hours. The minimum deposit required to activate this promotion is $/€25. Other perks to enjoy while playing here include 20 free spins for deposits made on Monday through Friday between 11 am to 1 pm, 50% extra up to $/€100 on Happy Hour (7-11 pm) on Friday, and several monthly free spins packages depending on the games you play. Considering that Slotsmillion’s services are available to the wider European market, it’s only prudent that the casino supports a vast array of reliable payment options to allow players to deposit and withdraw money with ease. The following is a list of all secure payment options available for you if playing at this slots haven. The minimum amount you can deposit is capped at $/€20 while the maximum deposit allowed is $/€1,000. Maximum withdrawal limit per month is $/€30,000 with the turnaround time for most withdrawal methods being within 24 hrs. With over 3000 casino games, it’s highly unlikely that any serious gambler will have a hard time choosing a game that suits their style or taste on Slotsmillion Casino. Whether you’re playing on your laptop, tablet, or mobile phone, you can be sure to find all your favourite slots and many other games supplied by more than 40 leading software developers. As if having a robust collection of slots isn’t impressive enough, this casino also boasts an intuitive filter function which allows you to filter and find any game based on features, pay lines and even the themes. We were also impressed with the way Slotsmillion tries to make game selection even less tedious by showcasing New Games, Featured Games and Jackpots separately. Also, don’t forget to check out the operator’s Pick of The Week, which will most likely earn you a few extra bucks. When the casino launched in 2015, it didn’t have a single table or video poker game on its lobby, only specialising in slots at the time. However, a lot has changed over the past few years, and now there are more than 300 popular table games and video poker games to explore whenever you need to try something else other than slots. Before you get overwhelmed by the expansive portfolio of games at Slotsmillion casino, allow us to mention one thing that makes this operator stand out – a Virtual Reality online casino. Want to play for real money in an animated casino room right from the comfort of your sofa? Plug in your Oculus Rift goggles and enjoy an immersive virtual experience at this casino. Currently, there are over 40 slots games available in Virtual Reality including the hugely popular Guns N’ Roses and Starburst games among others. You can be sure that this number will continue to grow in the future. Slotsmillion Casino features a responsive and elaborately designed mobile website that runs smoothly on a variety of handheld devices powered by iOS, Android, Windows and Blackberry operating systems. Slots make the majority of the over 500 games available for the mobile gamers. What we liked about the casino is that you don’t need to download any app as all the games can be accessed via the phone’s browser. Another plus is that you can also enjoy nearly all services and bonuses available for desktop users on your mobile device. Although a sleek design and innovative features such as Virtual Reality gaming can help casinos draw players to their site, what makes them stay is reliability and security. 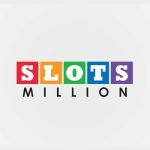 With a wealth of player’s information and personal data stored in their systems, Slotsmillions guarantees safety through a broad range of measures. To begin, the platform is licensed and monitored by the UK Gambling Commission, Gaming Authority of Malta and the Netherlands Antilles (Curacao) Government. As we have repeatedly stated in our other reviews reviews, these regulatory and licensing bodies play a pivotal role in ensuring fairness and safety of players on online platforms. Additionally, data is protected using SSL security encryption, a sophisticated industry standard in internet security. The company has also partnered with reputable payment platforms that have a proven track record of providing safe and secure services. Lastly, Slotsmillions Casino dedicates a whole webpage to discussing responsible gambling and ways to avoid or stop this common addiction. This section emphasizes the dangers of gambling addiction and also reiterates the platform’s commitment to keeping children away from casino gambling. One strong element that separates a reliable gaming platform from its competition is the customer support services it offers its users. You want to work with a casino that is quick to handle your concerns and whose reps are willing to assist when faced with some challenges. Luckily for you, Slotsmillions boasts a great team can be reached via three main ways; live chat, email, and telephone. However, before you contact them, we suggest that you first check out their resourceful website for possible solutions. Should this prove futile, don’t hesitate to reach them via live chat or call the team during working hours. You can also make use of their newly introduced call back option where you request the customers support to call you later. Finally, if you have an issue that needs a lot of explanations and maybe files to attach such as screenshots, the email may be the most convenient to use. Remember to also check out their Facebook and Twitter pages which we found to be quite active. If you’re an avid online gaming enthusiast and a frequent visitor of our site, you’ll agree that we don’t always have so many kind words for the casinos we review here. We have very little to complain about Slotsmillions – for example, the limited welcome bonus and the fact that it doesn’t feature a broad range of video poker and table games. However, we have to admit that it’s truly difficult to explain how the operator has managed to achieve what most casinos only dream of in just three years. Apart from having a robust portfolio that boasts hundreds of popular slots, Slotsmillion Casino also features a revolutionary technology of Virtual Reality gaming that is by far the most sophisticated innovation the gaming industry has seen for a while. If you’re thinking of giving online gaming a shot, we highly recommend that you start your journey at Slotsmillon Casino. Sign up today and claim a pretty decent welcome bonus package comprising 10 no deposit free spins as well as $/€200 and 100 extra free spins upon making your first deposit.